Did Marie Antoinette Say Let Them Eat Cake? Let Them Eat Cake; er, Brioche. Oh, Nevermind! 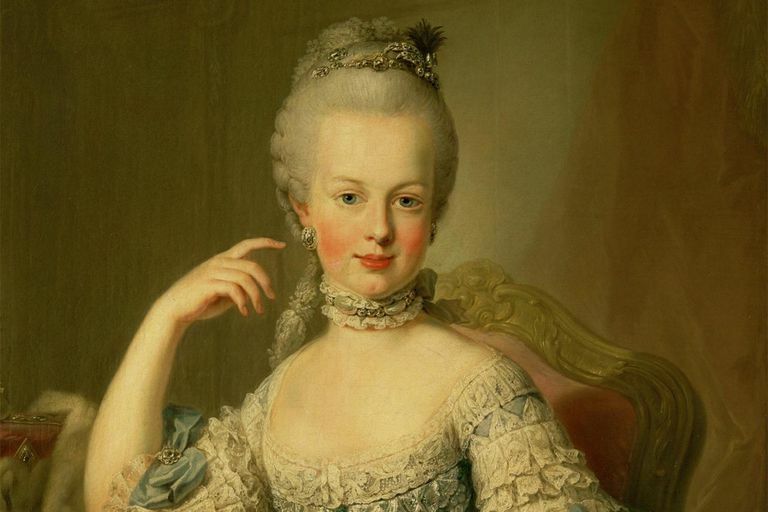 Say what you will about her, Marie Antoinette probably never actually uttered the words "Let them eat cake." We have that on the authority of biographer Lady Antonia Fraser, who spoke on the subject at the 2002 Edinburgh Book Fair. Though historians have known better all along, it is still popularly believed that Marie Antoinette, wife of Louis XVI and Queen of France on the eve of the French Revolution, uttered the insensitive remark upon hearing peasants' complaints that there wasn't enough bread to go around. "Let them eat cake," she supposedly retorted. "It was said 100 years before her by Marie-Therese, the wife of Louis XIV," Fraser explains. "It was a callous and ignorant statement and she [Marie Antoinette] was neither." However, Fraser's citation for attributing it to Marie-Therese was a recollection by Louis XVIII in his memoirs, based on tales within his family. Marie-Therese was born the Infanta of Spain and Portugal and Archduchess of Austria, the daughter of Philip IV of Spain and Elisabeth of France. As part of a peace agreement between Spain and France, she gave up her rights to the Spanish throne and married her double first cousin Louis XIV, King of France, who would be known as the Sun King. Louis moved the court to the Palace of Versailles and converted it into a lavish royal retreat. She was several generations removed from Louis XVI and Marie Antoinette, being his great-great grandmother. Her grandson would become Philip V of Spain. There is no historic record of this earlier French queen having uttered the phrase. Other theories place the phrase with two of Louis XV's daughters, who would be the aunts of Louis XVI and in-laws of Marie Antoinette. But What Did the Phrase Really Mean? Truth be known, the attribution is doubly erroneous in English, because the word "cake" is a mistranslation. In the original French, ​the alleged quote reads, "Qu'ils mangent de la brioche," which means, literally, "Let them eat rich, expensive, eggy buns." You can see why it caught on. However, cake is far more quotable in English. The phrase first appears in Jean-Jacques Rousseau's "Confessions," written in 1765, at which time Marie Antoinette would only have been age nine and living in Austria. She didn't arrive in France until 1770. He ascribes it to "a great princess," but may have made it up himself. The phrase was first attributed to Marie Antoinette by Alphonse Karr in Les Guêpes of March, 1843, which was 50 years after her death. It wasn't quoted during the French Revolution, which led to Marie Antoinette's execution via the guillotine. However, Marie Antoinette was blamed by many in the Revolution for extravagance and contributing to the royal debt. The victors write the history, and after the Revolution, many anti-royal stories were circulated. "Let them eat cake" became the catch-phrase ascribed to her.